Defender Jamie McAllister has joined Exeter City after a season playing for Kerala Blasters in the Indian Super League. 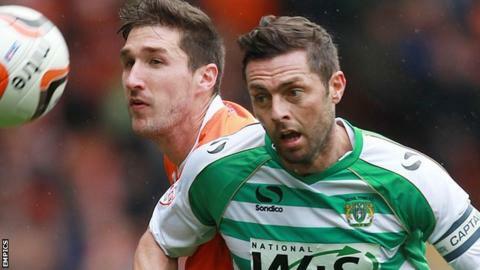 McAllister, who has one Scotland cap, last played in England for Yeovil, in the Championship last term. In an 18-year professional career McAllister has also featured for Bristol City, Hearts, Livingston, Aberdeen and Queen of the South. He is set to make his Exeter debut against Mansfield on Saturday. After being released by the Glovers in May, McAllister joined former England goalkeeper David James at the Blasters, with the side finishing runners-up to Atlético de Kolkata in the league's inaugural play-off grand final in December.